For many reasons, exercise is an essential component of osteoarthritis treatment. But the exercise must not exacerbate osteoarthritis symptoms. Which types of exercise are best for osteoarthritis patients? 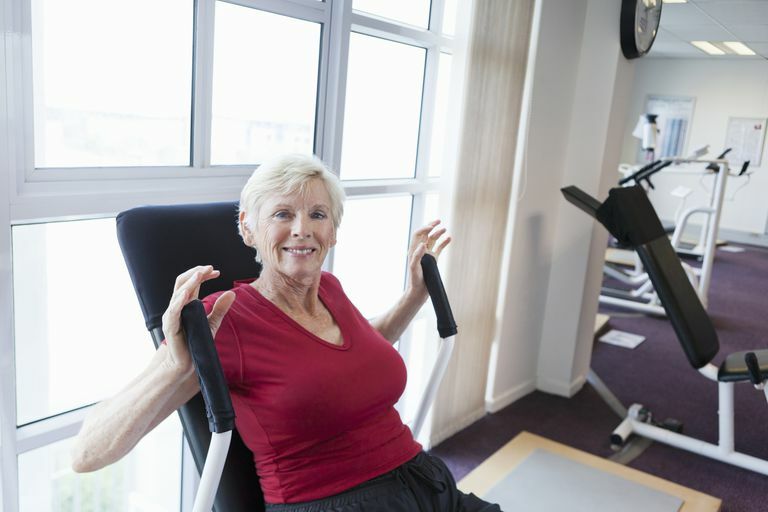 Is gym equipment recommended for osteoarthritis patients? An exercise regimen that includes strength training, flexibility or range-of-motion exercise and some aerobics is optimal for osteoarthritis patients. Walking, swimming and cycling are good choices of aerobic exercise for osteoarthritis patients because they are less stressful on the joints (low impact) compared to activities like jogging. With regard to strength training -- lifting light dumbbells, utilizing resistance thera-bands, Pilates, and water exercise are recommended. To improve flexibility -- yoga, tai chi, and basic stretching all can be beneficial. Stationary bikes: The seat of your stationary bike needs to be positioned high enough so your knees do not bend more than 90 degrees or come up higher than your seat when you are pedaling. With the pedals positioned further away like this, you reduce stress on your knees. A regular, upright stationary bike provides a more intense workout than a recumbent bike. However, a recumbent bike reclines and is designed to reduce stress and strain on your knees and lower back. Elliptical trainer: An elliptical trainer provides a low-impact workout, similar to walking, but with a high-intensity cardio workout. The elliptical trainer, a cross between a stair climber and stationary bike, works all of your major muscle groups and can help you lose weight and shape up without hurting your knees. Treadmill: A treadmill provides an excellent walking workout -- and you don't have to fight weather elements. Arthritis Today suggests that you start slow for three to five minutes and "move up to a moderate pace by slowly increasing the machine's speed." When stopping, cool down by reducing the speed and walking at a slower pace for a few minutes. Gym equipment is appropriate for osteoarthritis patients -- especially if modified or adapted to their needs. The goal is to benefit from exercise but not stress arthritic joints. It's important to exercise at a level that matches your physical ability -- but then build on that safely and gradually. Tips for Treadmill Walking Success. Arthritis Today. Jodi Helmer. Accessed 02/23/10.